This Flower Pattern was originally designed for the Flower Slouchy Hat although it can be used on many different items. 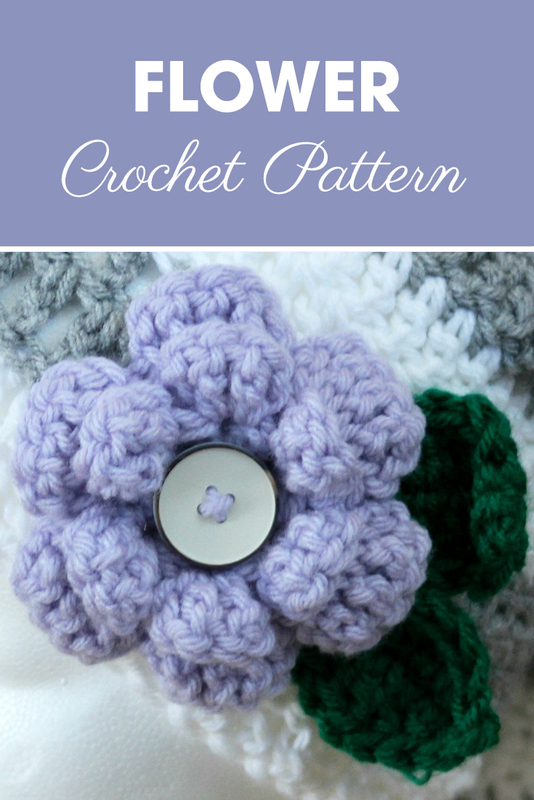 This pattern is easy to make with worsted weight yarn, an H-8 (5.00 mm) crochet hook, and 1″ button. Attach button to middle of flower, then attach the leaves to the flower.